Halloween, one of those random events that suddenly seems to have become mainstream. I suppose it was inevitable that the festival of 'All Hallows Eve', 'Samhain' or 'The Day of the Dead' was overtaken by the American Halloween Spectacular. Cynic that I am this has obviously generally passed me by although I've occasionally joined in with fancy dress or with a bowl of sweets to welcome the rare trick or treaters who found their way to my door. I've been known to carve a pumpkin too, making full use of the flesh to make soup as well as roasting the seeds as a savoury treat. However this year, in a new job, I was tempted into entering the office 'Halloween Bake Off'. Obviously I love to cook, inventing recipes from whatever is to hand, but baking is not generally high on my list of 'things I love to do'. In years past I've created birthday cakes for my children, a 'Ladybird' cake, a 'My Little Pony' cake etc but any kind of cake is usually low down on the list of favourite recipes. I have a wheat intolerance too, modern hybridised wheat has a lot to answer for, so baking is more challenging than whipping up a traditional Victoria Sponge or a tray of scones. I've experimented with alternative flours and found that I'm fine with spelt or Khorasan, both very old unadulterated versions of wheat, and so the challenge to bake something for the 'Halloween Bake Off' was a little more challenging. In the end I decided to go down the well trodden 'horror' route and make a version of maggotty brain cake. Where to start then? I found a recipe for 'Red Velvet Cake' a rich, moist base for a 'brain'. Search online and there are numerous recipes for this gorgeous cake. After shaping and applying the fondant I shaped the 'maggots' using white and green fondant icing. The beauty of fondant is that it falls into realistic maggot shapes with hardly any effort, a few blade marks is all that is required to create the finished effect. I used freshly made rasberry jam to brush over the 'brain' and vegetarian raspberry jelly as the 'brain ooze'. 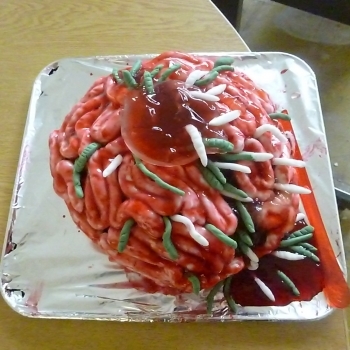 Overall a luscious, moist 'zombie brain' cake that won the office challenge. It's a simple yet effective design that can be replicated for 'Halloween' or a for a 'Zombie Apocalypse' party. There are numerous ways of personalising a cake like this. 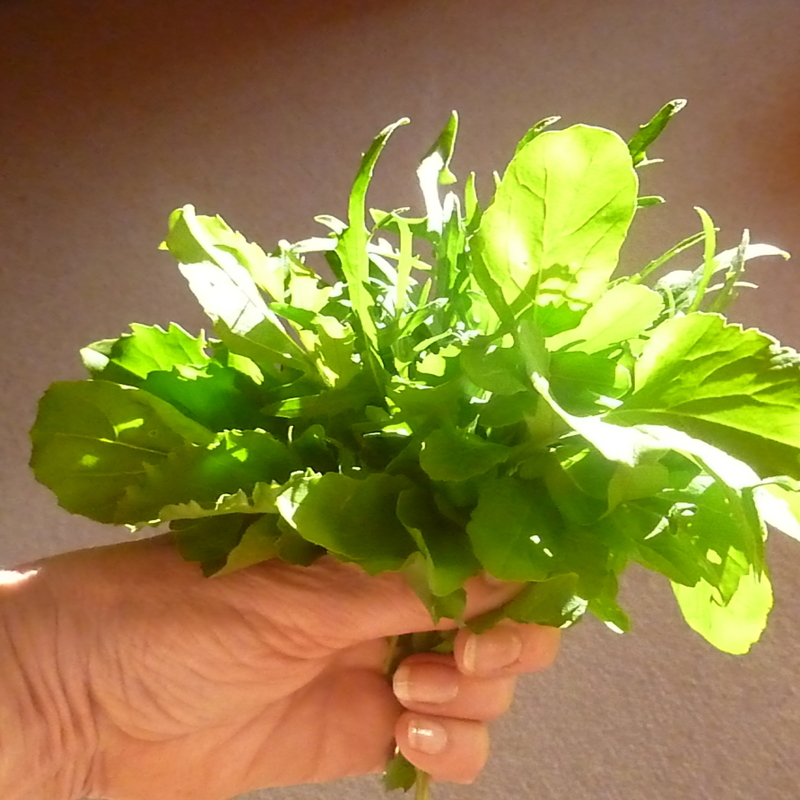 I have added a photograph of my effort but there are many sites with easy to follow recipes for similar results. Have a go it's worth the effort. Happy baking.